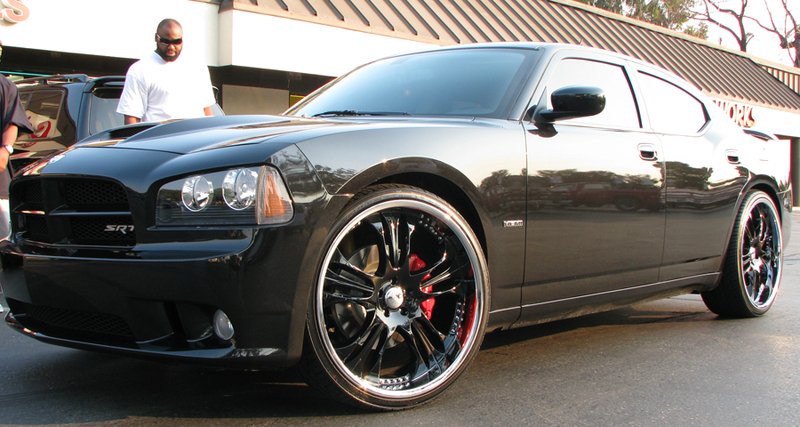 This is Tommy Kelly of the Oakland Raiders and his Black Dodge Charger SRT8. This car is sitting on 24″ Sporza Estrada’s, gloss black center with chrome lip. This is a very simple and safe route for a charger. None the less, the fitment and tire sizes look perfect by California Wheels.